St. Petersburg local collects over 4,700 bells. Is it possible to get listed on TripAdvisor with a collection of carpenter planes? Who keeps calculators used by Soviet deputies? RBTH explores some of Russia’s strangest collections. Art scholars believe that it was Peter the Great who brought the idea of collecting to Russia from Europe at the turn of the 18th century. Aristocrats close to him were interested in the new trend and this unusual pastime became extremely popular among the wealthy, who began by collecting works of art. In the USSR collecting stopped being an elitist hobby. Now there were ordinary coin collectors and clubs such as the Young Philatelist for stamp enthusiasts. But it is doubtful that 19th century aristocrats and Soviet pioneers could imagine that someone could amass 1,500 carpenter planes or nearly 5,000 little bells. These unusual Russian collections are no match for a certain famous Australian collection of navel lint, however, they tend to have a bit more heft to them. Russia is famous for possessing the biggest bell in the world – the 18th-century Tsar Bell. There is just no way you can take the 196-ton metal beast home, and this probably for the best, as otherwise it would have found its way into the collection of St. Petersburg native Victor Kolobov. His collection consists of 4,753 bells from 65 countries, including maritime and mechanic specimens. "I was never able to save money," Kolobov admits, "I just collect everything." Besides the bells, he also has several thousand vinyl records and inexpensive Chinese gadgets from cheap markets. In 15 years Kolobov has accumulated Russia’s largest bell collection, but he’d also be the first to criticize it. 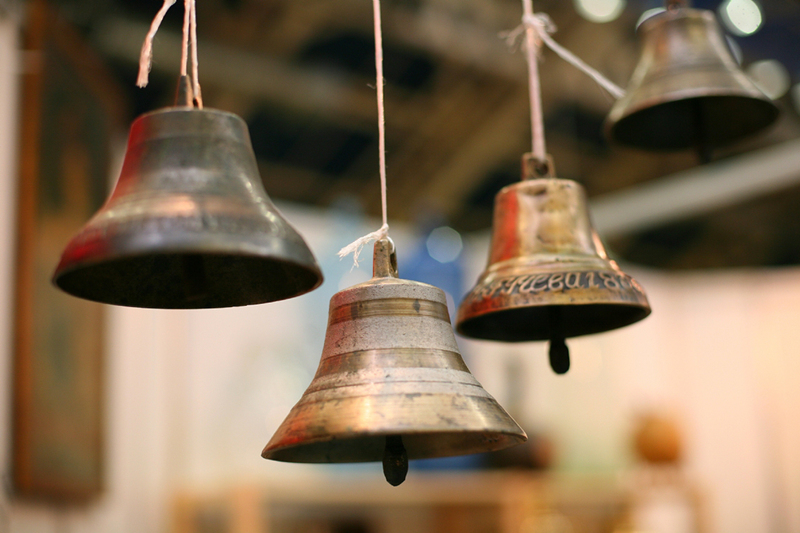 "There are a lot of bad quality bells, but I just can't get rid of them,” he says. “What's important is quantity not quality." Another St. Petersburg native, Sergei Frolov, also collects gadgets. Not the Chinese variety, however, but Russian ones. "My collection destroys the myth that the USSR did not produce electronics," says the owner of almost 200 Soviet calculators. Frolov started his collection in the 1980s. Back then scientific journals taught readers how to simulate space travel on the B3-34 programmable calculator. Frolov himself develops medical technology and also collects Soviet computers and digital watches. He keeps the rarities in storage and doesn’t even know how many items he has. One of his favorite items is the Elektronika MK-87 electronic diary, which was issued for deputies for one of the Communist Party congresses. Frolov wants to open a real museum one day, but for now he’s satisfied with a virtual one. Famous Russian historian and culinary expert William Pokhlyobkin wrote that until the 19th century peasants were suspicious of the fork. The fork was introduced in Russia in 1606 by the Polish noblewoman and warlord Marina Mniszech who ostentatiously used the "foreign" instrument at a wedding feast in honor of her and the False Tsar Dmitry I. This provoked indignation among the common people and a little more than a week later her husband was killed. Presumably he was killed because he was an imposter, yet the role of the fork cannot be underestimated. Today a pensioner from the faraway provincial settlement of Moskalenki (1,400 miles east of Moscow) has made it into the Russian Book of Records for the biggest fork collection in the country. Anatoly Tyupyshev, 64, has 731 forks. He has never paid more than $25 for a fork but jealously protects his collection, even from his wife. Tyupyshev's house could easily be confused with an antique shop. "I have a lot of old things,” he says. “Thirty-two cup holders, 21 irons and 12 kerosene lamps." Yevgeny Ignatiev's collection has a nice aroma to it. It consists of cognac, calvados and Armagnac bottles – 336.5 liters in all – enough for dozens of weddings. But only if the guests agree to drink from tiny 50-ml bottles: Ignatiev has allotted an entire room for his collection of 6,730 mini-bottles. Brandy is a rather important part of his life: he draws bottle designs, regularly travels to the French Cognac region and simply likes the drink. "In small quantities, of course," he clarifies. These collections mentioned here have not become museums or received world recognition, except for one, which has made it into the Guinness Book of World Records. A collection of 1,500 carpenter planes has brought 69-year old Vitaly Islentiev from Eniseisk (2,100 miles east of Moscow) some notoriety. He began collecting them in 2008 and in 2014 he opened the Carpenter Plane Museum. The museum is mentioned on TripAdvisor and it is exceptionally modern. The guests are welcome to use any plane they like on a workbench and Islentiev gathers money for keeping up his collection through crowdfunding. If you ever happen to wander into this little Siberian town, ask him to share his marketing secrets with you.